Incensed over the alleged callousness of the governments of the day, Parveen claimed that she was surviving on a paltry sum which she got a pension. LUCKNOW: As a mark of protest against alleged apathy of both the Central and state government, wife of former Olympianckey legend Mohammed Shahid has threatened to return all awards won by her husband as authorities have failed to keep the commitments done to her at the time of her husband's demise in 2016. However, Varanasi DM, Surendra Singh visited the family on Tuesday and assured them all help and fulfilment of the promises made to them. Mohammad Shaid, also known as 'Master Dribbler' had many accolades and awards including Padma Shree, Arjun award, Lakshman Award and the gold medal at Moscow Olympics in 1980, to his credit. He was also conferred with Yash Bharti award in 2016. Shahid was acknowledged for his fast and magical foot-work on the ground beside the charisma of his stick. Parveen, Shahid's widow, is contemplating to travel to New Delhi on July 20 to return the awards as a mark of protest against the dispensation. The hockey wizard had died on July 20, 2016 following a prolonged illness. Incensed over the alleged callousness of the governments of the day, Parveen claimed that she was surviving on a paltry sum which she got a pension. Though one of her sons got a job, his salary was not enough to run the family. She also pointed out that Mohammad Shahid always wanted their son to play hockey for the country but that dream remained unfulfilled due to financial constraints. Shahid, a member of the Indian hockey squad used to cast magic with the hockey stick on the ground. With him being in the team, the country won the hockey gold medal in the 1980 Moscow Olympics. He received Arujna Award in the preceding year in 1981. He played for the country in 1982 and 1986 Asian Games when the country won a silver and a bronze medal in hockey respectively. The hockey star had 10 medals to his credit and was conferred with Padma Shree in 1986. As per the version of his wife, after Shahid's death, the governments had promised her to open a hockey academy in his name and a stadium too. The then state sports minister Ram Sakal Gujjar had promised the family that a national tournament would be organised in the memory of the ace hockey player and even Union Sports Minister Vijay Goel had made similar promises to Parveen but to no avail. "Once in Delhi, I will return all the medal and awards to the PM who had promised to take care of my family," said Parveen. She also claimed that the government had promised the family a gas agency or a petrol pump, but nothing was done so far. Parveen had organised a hockey tournament in Varanasi at her own expense on April 14, which happens to be the birth anniversary of the late player. Notably, Mohammad Shahid first played for India in 1979 at the Junior World Cup in France at the age of 19. He then got a call to the senior team the same year and participated in the four-nation tournament in Malaysia. 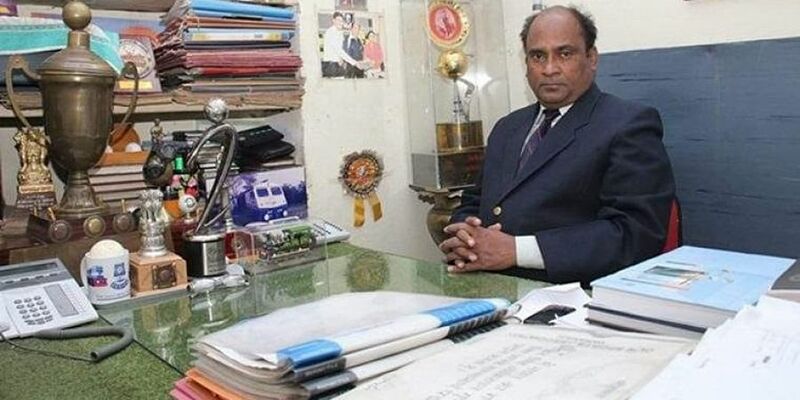 He served as the captain of the Indian Hockey team from 1985 to 1986. He was awarded the Arjuna Award in 1981 and the Padma Shri in 1986. After retiring from hockey, Shahid joined the Indian Railways.